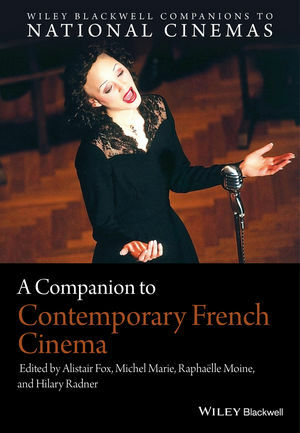 A Companion to Contemporary French Cinema presents a comprehensive collection of original essays addressing all aspects of French cinema from 1990 to the present day. Alistair Fox is Professor Emeritus at the University of Otago. His books include Jane Campion: Authorship and Personal Cinema (2011), New Zealands Cinema: Interpreting the Past (2011), and an English edition and translation of Anne Gillain’s François Truffaut: The Lost Secret (2013). Michel Marie is Professor Emeritus at l’Université Sorbonne Nouvelle—Paris 3. His publications include The French New Wave: An Artistic School (1998, translated into English in 2002), Aesthetics of Film (with Jacques Aumont and Alain Bergala, 1983, translated into English in 2002), and Les Grands Pervers au cinéma (2009). Raphaëlle Moine is Professor of Cinema and Media Studies at l’Université Sorbonne Nouvelle—Paris 3. Her publications include Cinema Genre (2002; translated into English in 2008), Remakes: les films Français à Hollywood (2007), and Les Femmes d’action au cinéma (2010). Hilary Radner is Professor of Film and Media Studies in the Department of History and Art History at the University of Otago. Her publications include Neo-Feminist Cinema: Girly Films, Chick Flicks and Consumer Culture (2011) and Feminism at the Movies: Understanding Gender in Contemporary Popular Culture (2011).